John Lackey returned to baseball on Sunday with a rehab stint against the Triple A Houston Astros. Oh, wait. 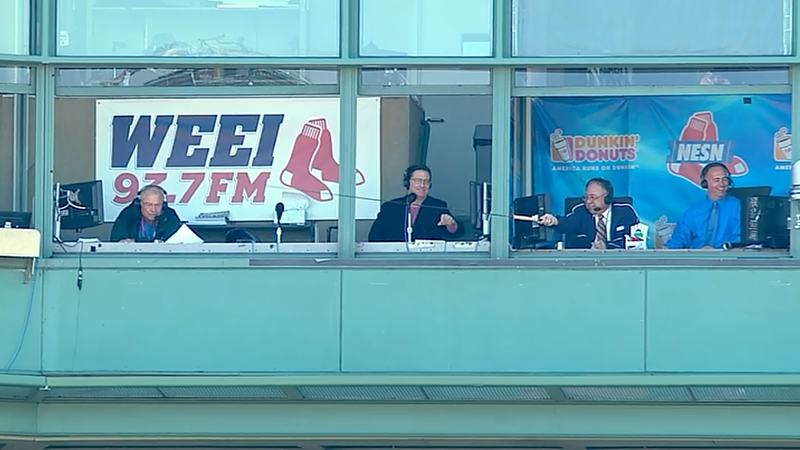 As the Red Sox taunted the Astros so did Jerry Remy harass the radio duo with Don Orsillo’s fishing rod. Can you hit this? No? How ’bout this? Two baseball munchkins converged at the keystone sack in the fifth inning. Dustin Pedroia knocked the ball past Matt Dominguez’s glove. Fernando Martinez gathered the grounder and came up firing. 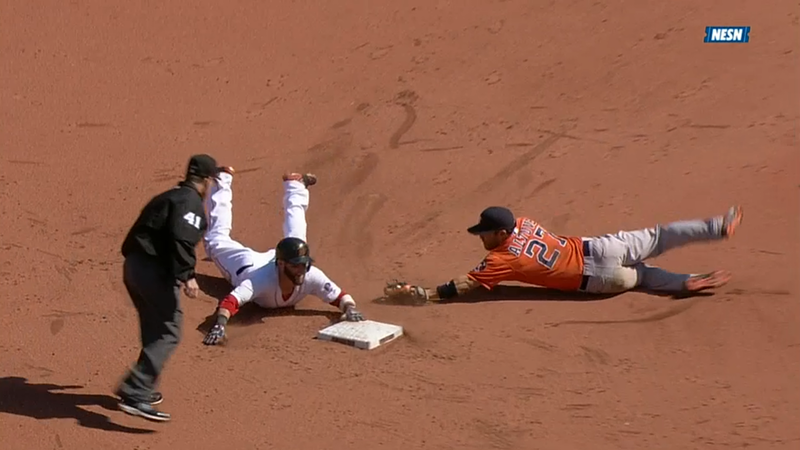 Pedroia slid to the outside of the bag in anticipation of Jose Altuve’s tag. With their arms stretched out like that they are as tall as your average major league baseball player. Now that the weather is turning it’s time for lobster rolls. 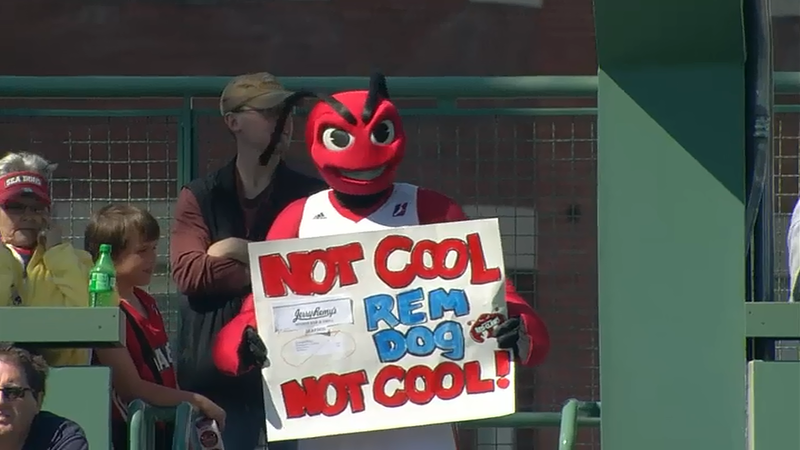 If you are okay with not being cool with Crusher, the Maine Red Claws mascot, that is.